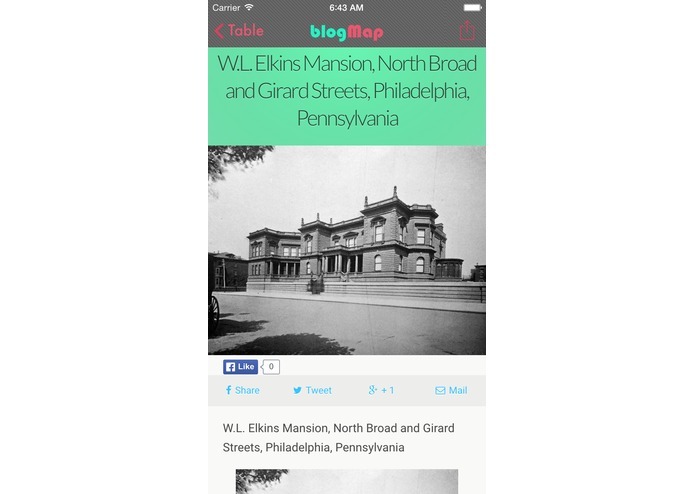 Explore Philadelphia off the beaten path: beautiful buildings and hidden finds curated from the best local blogs. 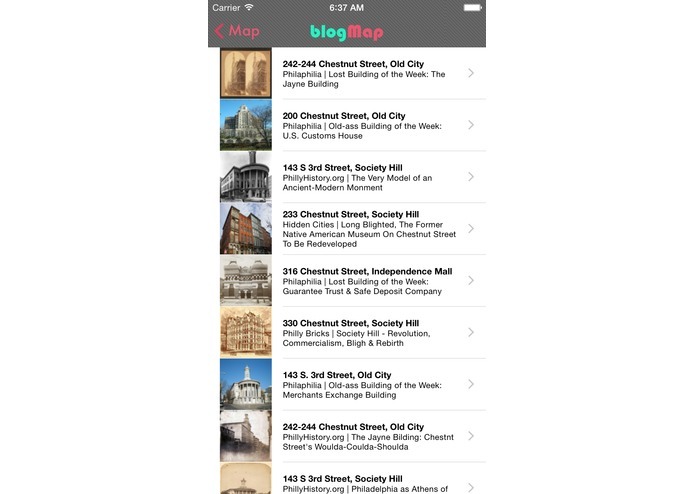 BlogMap | Philadelphia allows your to explore Philadelphia off the beaten path with content curated from the best local blogs. Discover historic sites, beautiful buildings, hidden finds and cobblestone streets. 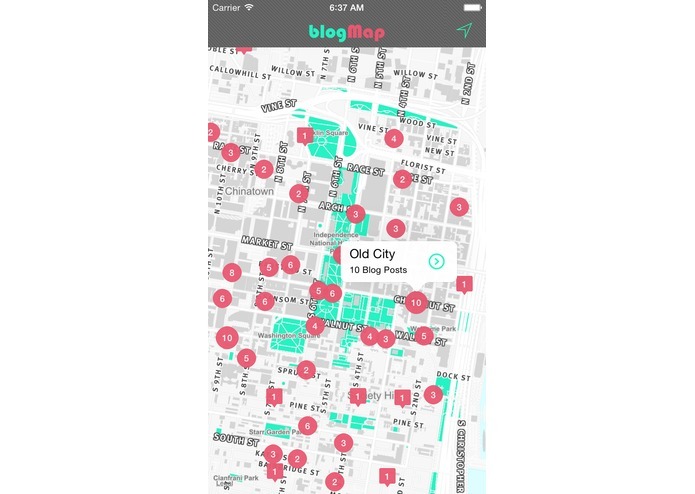 The app maps 800+ and counting of the most interesting things to see in Philadelphia from local sources who know the city best. Each article featured has an interesting history, noteworthy architecture or a unique detail from excellent local blogs. No big-name guide books, no tourist reviews, just Philadelphia at its most authentic. 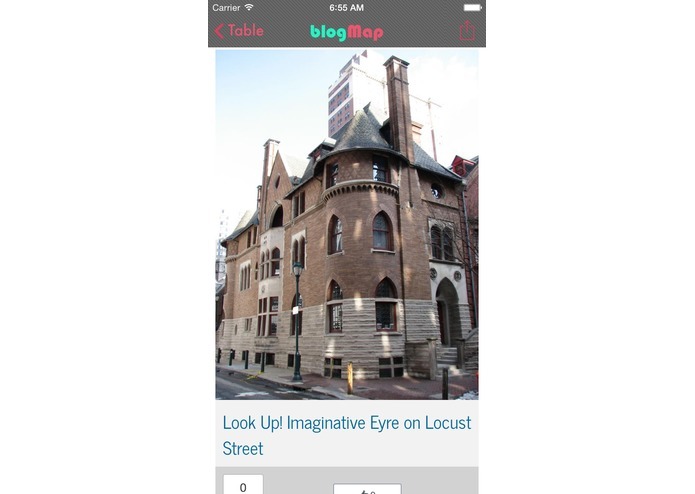 The app is simple and intuitive: click any icon on the map to view an accompanying article and photos. 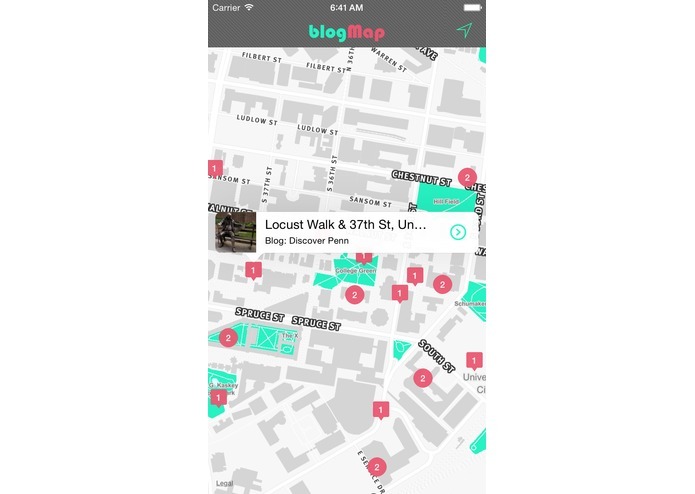 Allow blogMap to access your location and see what’s around the corner from you, or navigate anywhere in Philadelphia regardless of where you are. Find something interesting? Share it on Facebook, Twitter or any extension enabled app on your iPhone. 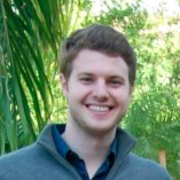 Former Obama staffer turned something. New Yorker by birth, Philadelphian by choice.